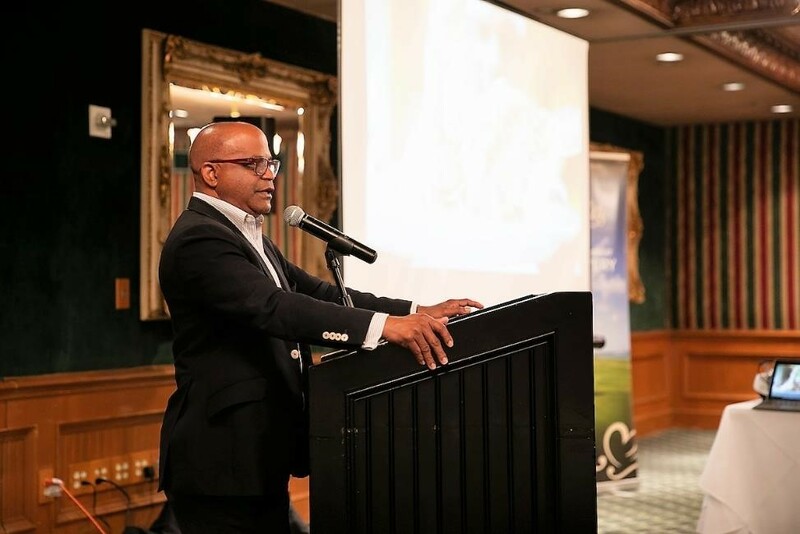 Minister Grant addresses the crowd at the luncheon at III Forks Restaurant in Dallas on Friday. 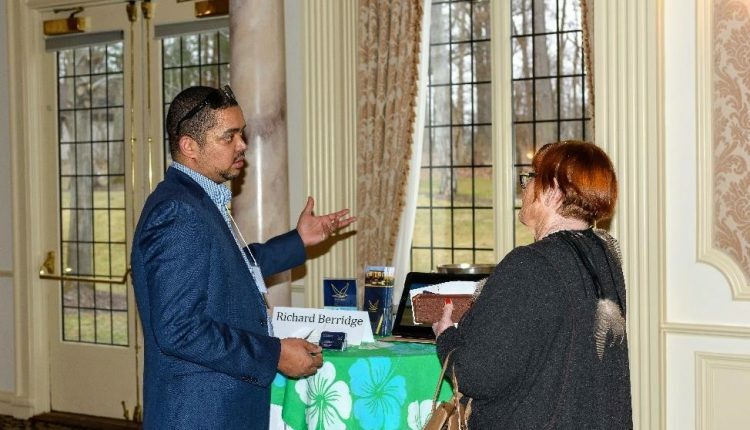 Troy Hendrickson of Caribbean Journey Masters speaking with attendees at the event in Farmer’s Branch. 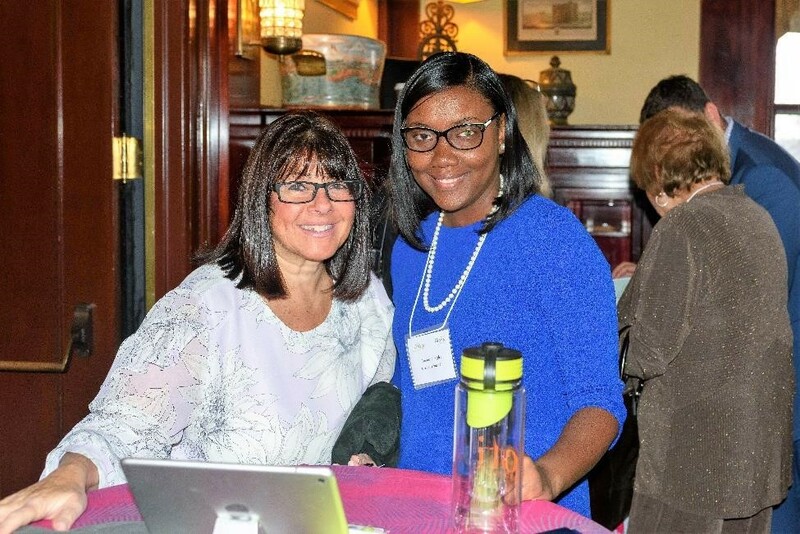 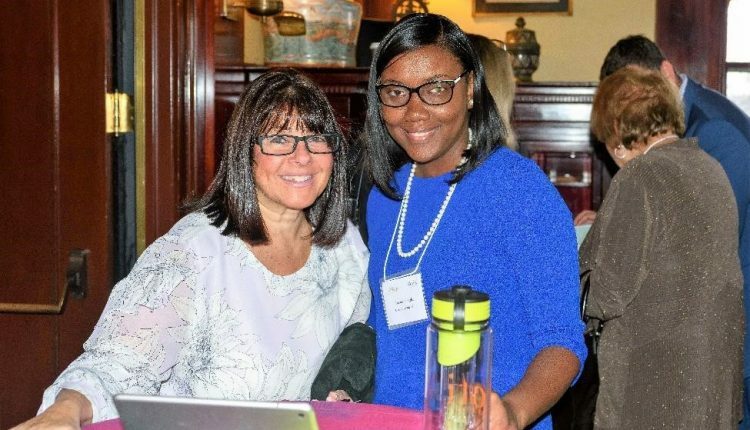 Tawanna Wigley of OTI speaking with an attendee at the event in Tarrytown. 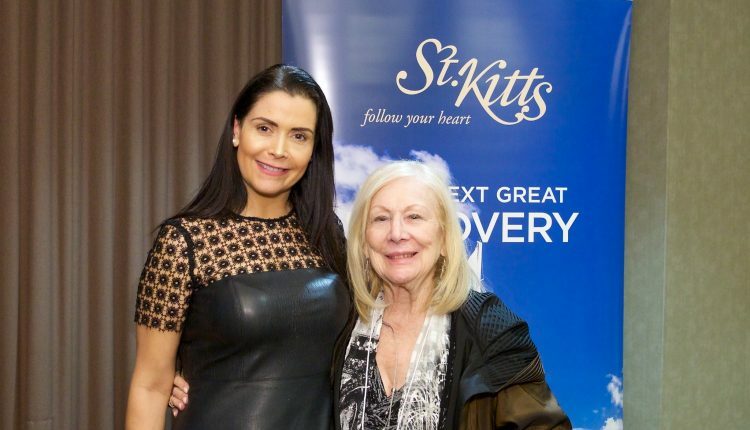 Sylvia Martinez of St. Kitts Marriott Resort poses with a prizewinner at the event in Atlanta. 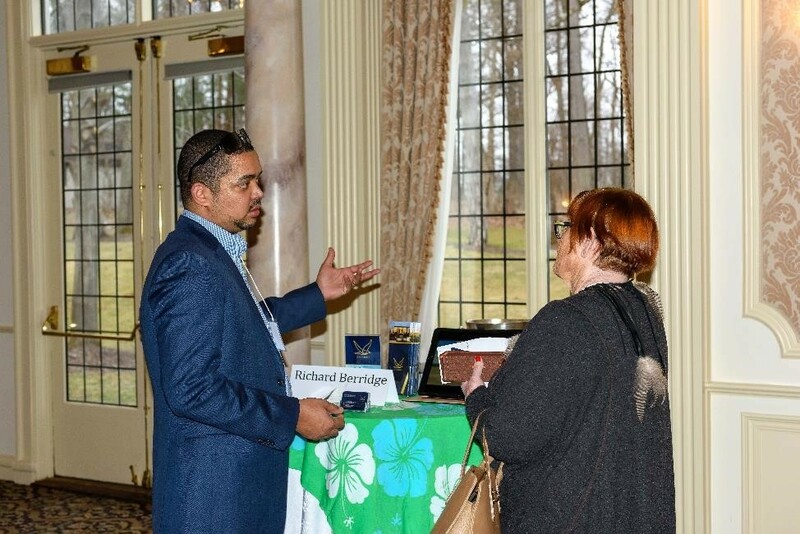 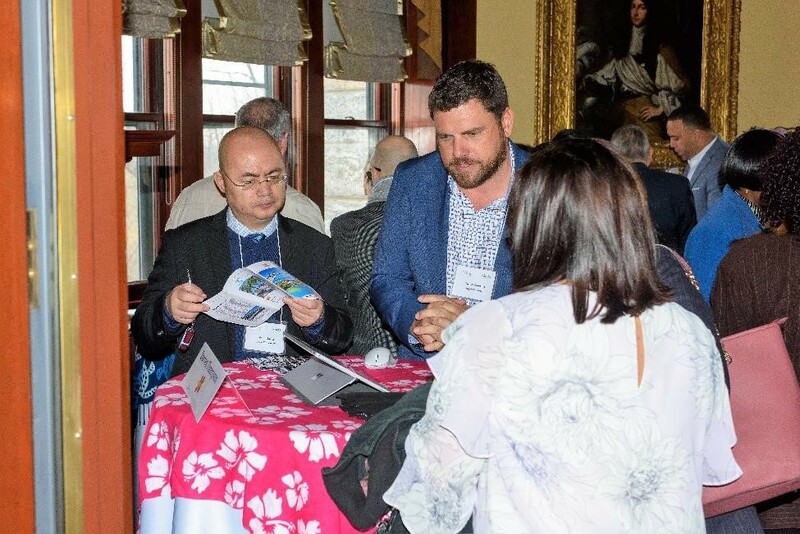 Richard Berridge of KayanJet speaking with an attendee at the event in West Orange, NJ. 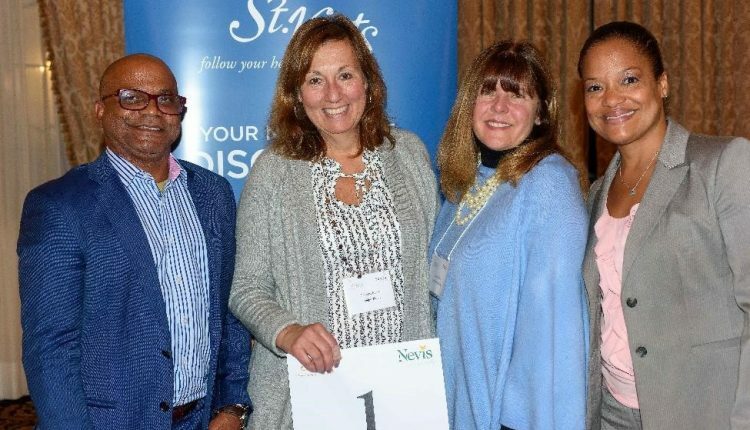 Minister Grant, CEO Brown and Cyndi Miller-Aird of Belle Mont Farm with a lucky prizewinner at the event in West Orange, NJ. 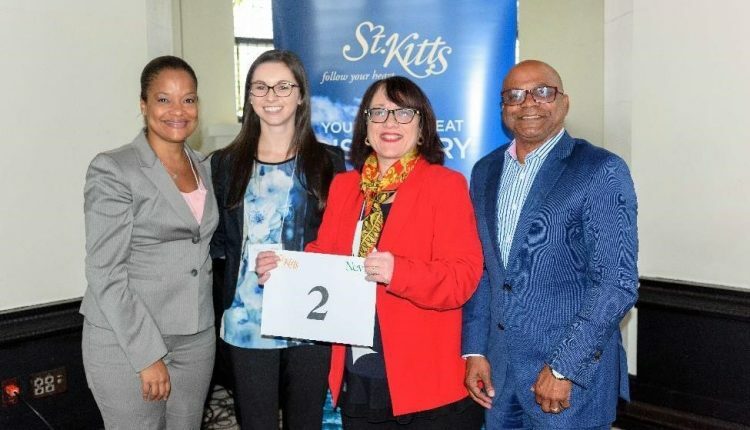 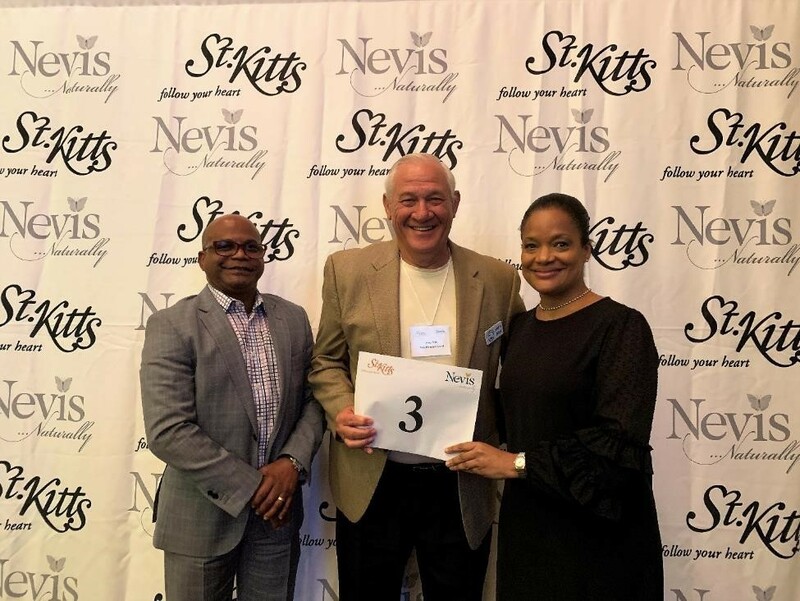 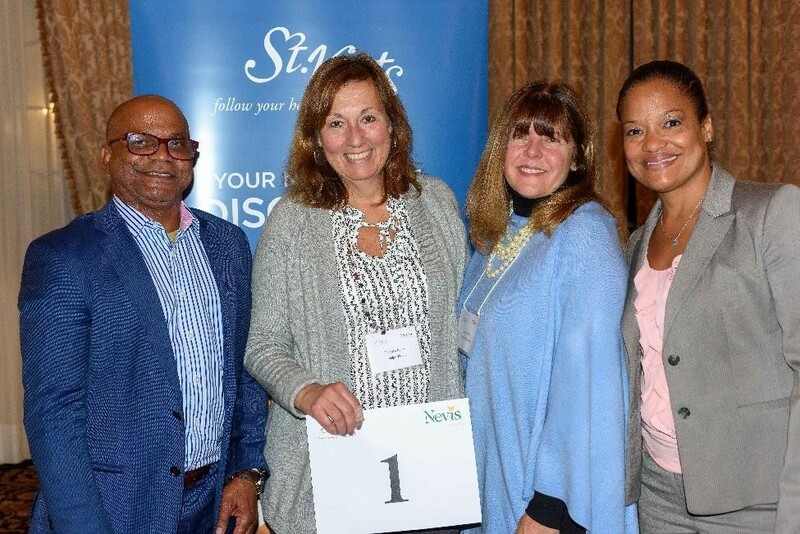 Minister Grant, CEO Brown and Christine Marshall of Park Hyatt St. Kitts with a lucky prizewinner at the event in Tarrytown, NY. 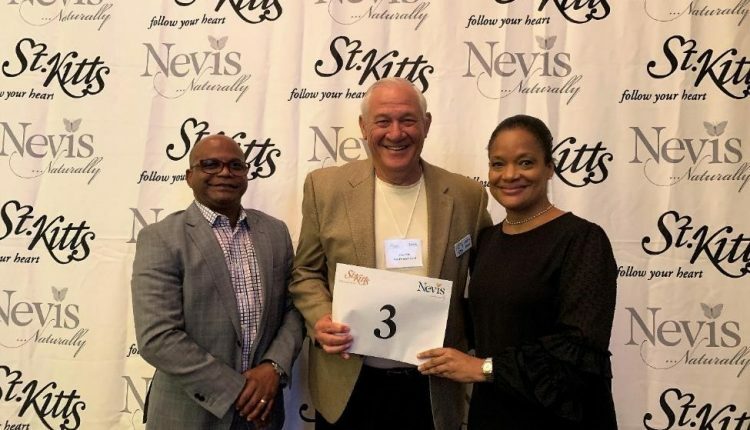 Minister Grant and CEO Brown with a lucky prizewinner at the destination event held at the Hess Club in Houston, Texas. 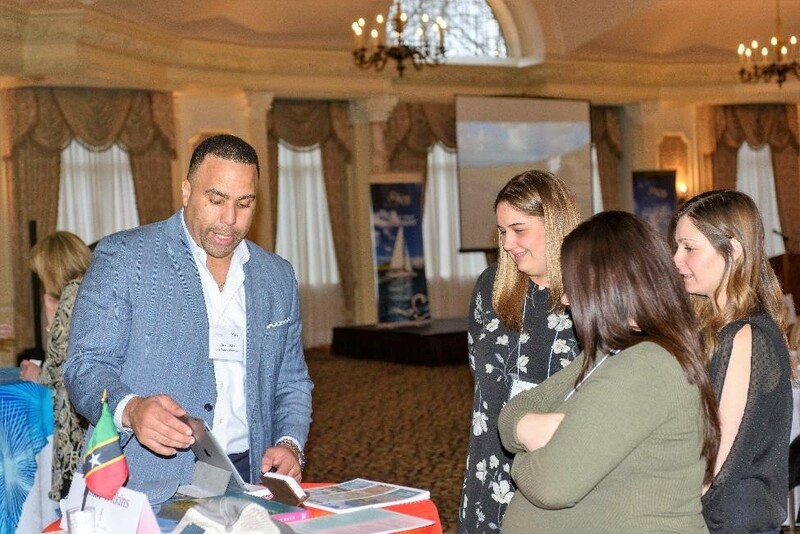 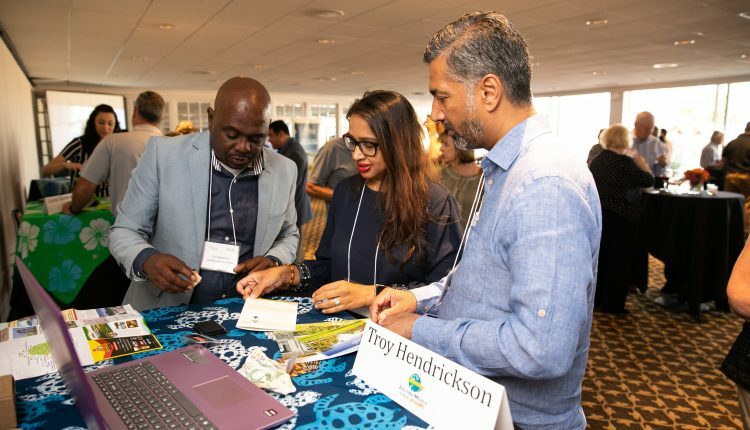 Jamar Wilkins of Four Seasons Resort Nevis interacting with attendees at the event in West Orange, NJ. 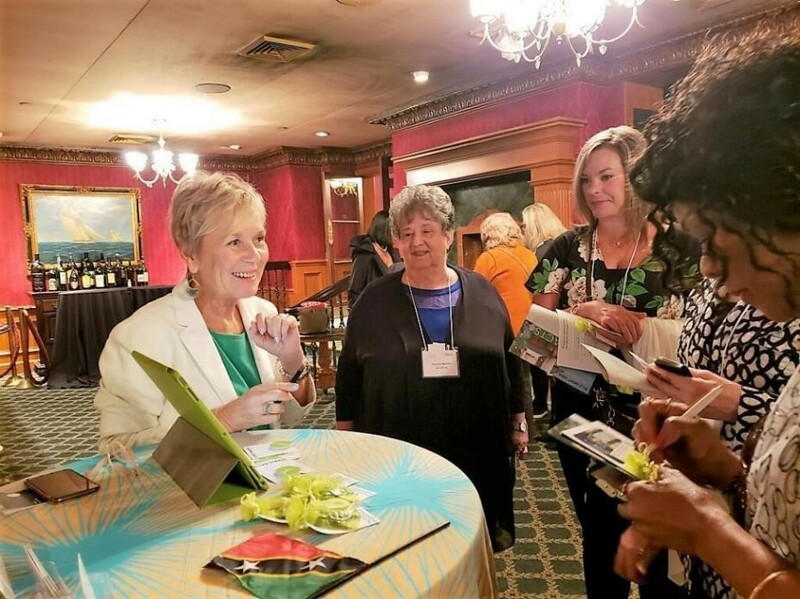 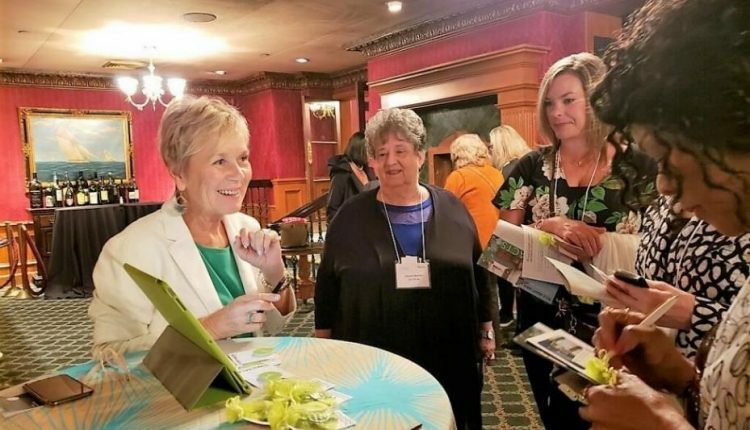 Jaana Kuntonen of Sunlinc interacting with attendees at the event in Dallas. 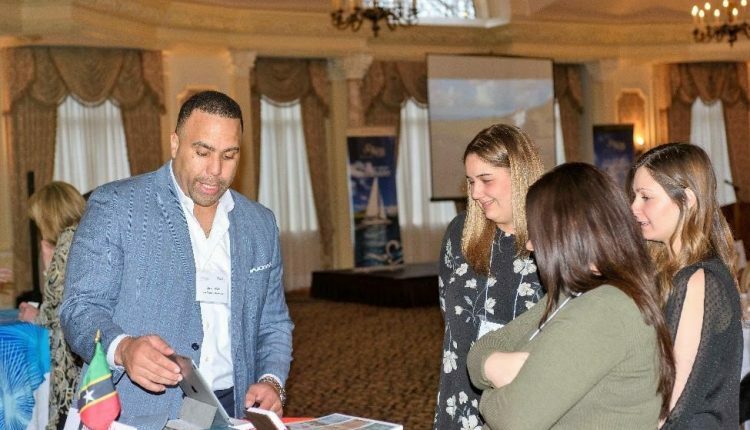 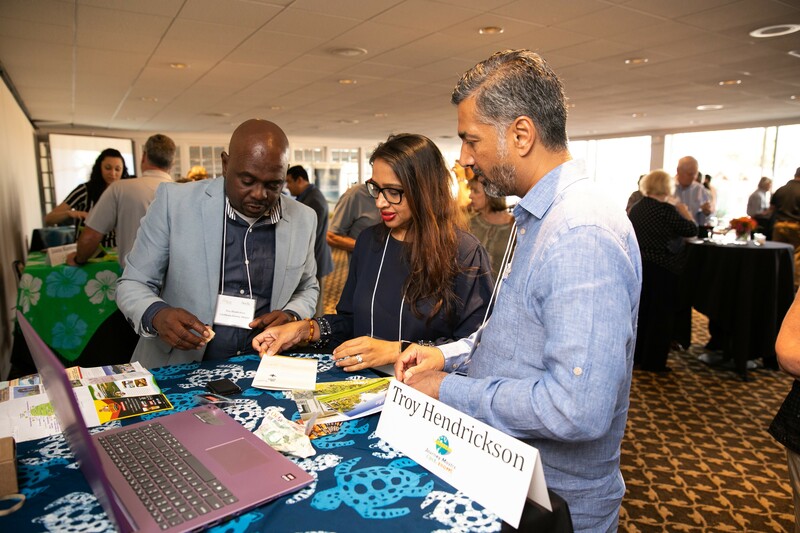 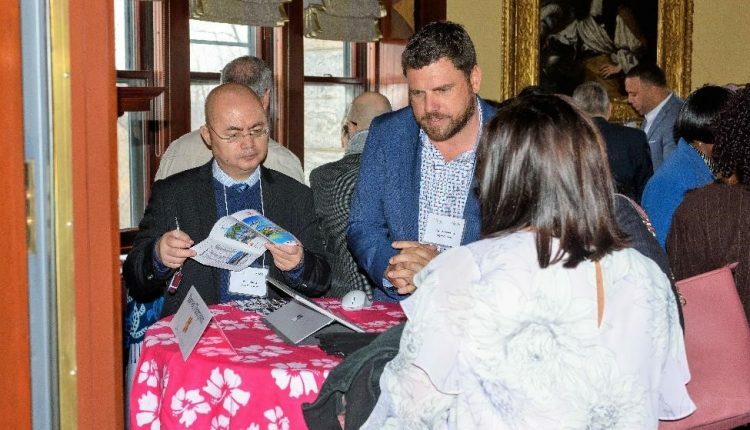 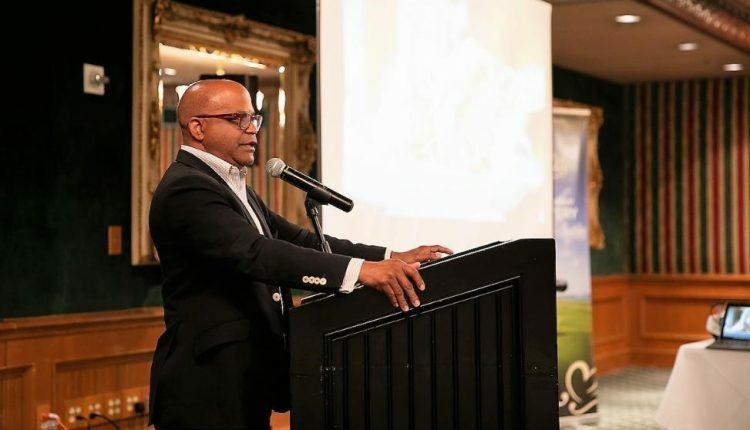 Darren Thompson of the Royal St. Kitts Hotel interacting with attendees at the event in Tarrytown. 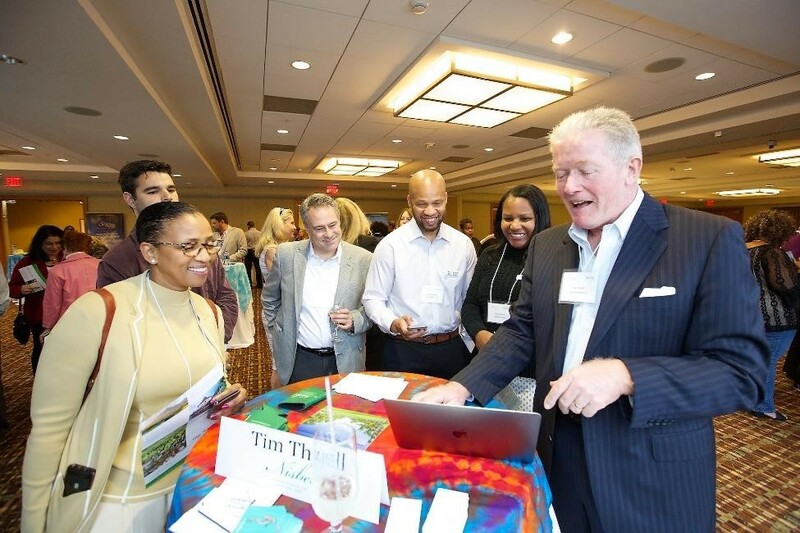 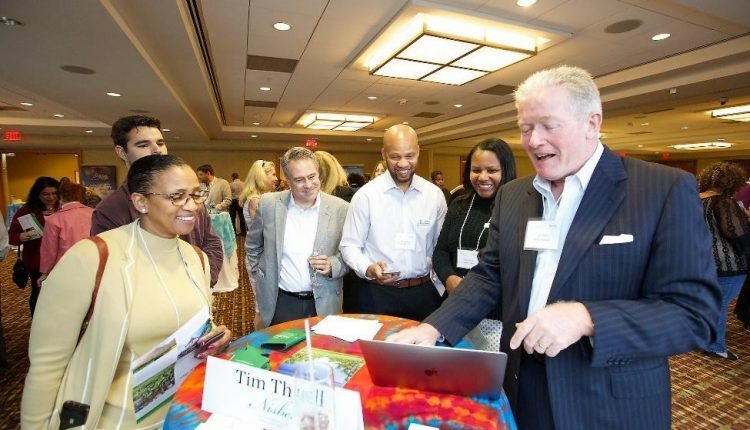 Attendees interacting with Tim Thuell of Nisbet Plantation at the event in Atlanta. 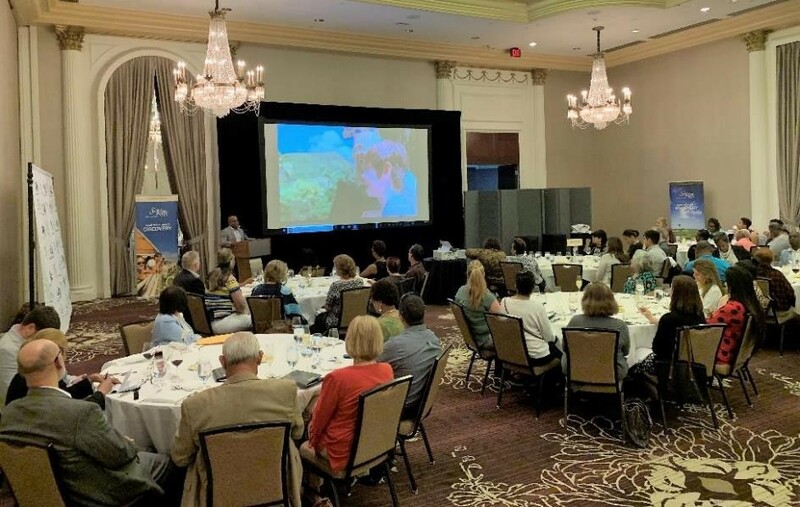 A full room of attendees in Houston listening to remarks being delivered by Minister Grant. 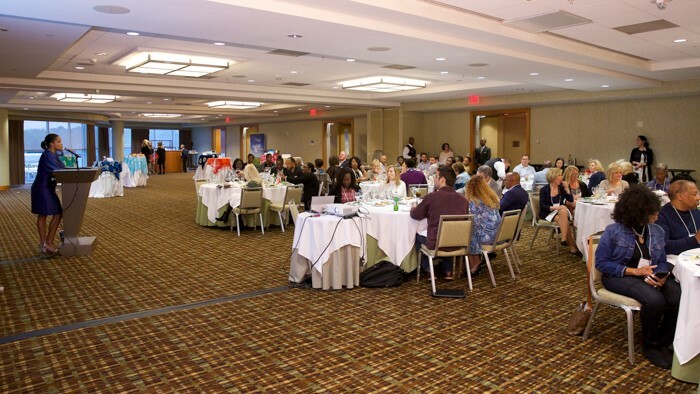 A full house of attendees listening to CEO Brown’s remarks at the event in Atlanta.